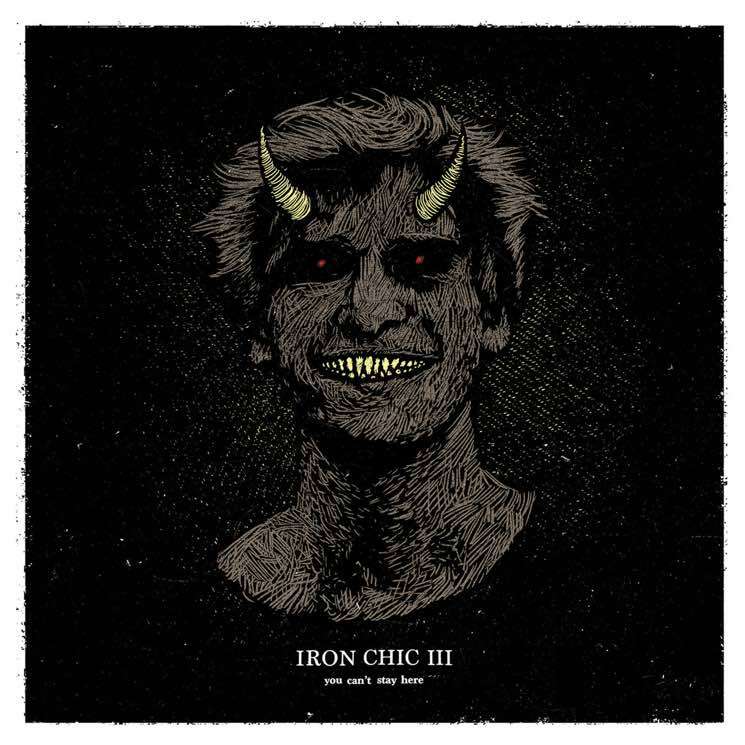 When "A Headache with Pictures" bursts forth to open the third album by Long Island punks Iron Chic, it sounds like a celebration. It's a perfect continuation of exactly what they've always done: write gruff-voiced, bleary-eyed pop songs that make for boisterous sing-alongs. This one has a simple, catchy chorus that ends with a simply put existential admission: "It ain't easy to live when you're dyin'." But it has a grim double meaning; there's a dark shadow that looms over You Can't Stay Here, namely that of the death of founding guitarist Rob McAllister at age 36. On the surface, nothing's really different here; the songs still all sound mostly alike, which has never stopped fans from loving their music dearly. Singer Jason Lubrano speaks in an everyman's voice about life — mostly, the worst of it — reflecting on anxiety, depression, relationships and, most of all, mortality. Whether it's the spectre of death or the memory of a long-term relationship come to an end, there's a constant aura of loss throughout the record. "It's like driving a runaway hearse / I can't stop, I just make things worse / Come on and take the wheel from me / Put me out of my misery," Lubrano sings on the instantly gratifying single "My Best Friend (Is a Nihilist)." The doom and gloom of the lyrics contrasts almost comically with the largely upbeat, peppy tunes. They leave no question about it on a song like "Let's. Get. Dangerous.," as Lubrano lays it out straight: "We both know life is temporary." The hopeful-sounding "Invisible Ink" acknowledges the band's loss while hinting at some optimism: "Death's sweet kiss was a bullet that missed us / We're not giving up." It seems they have also found an enhanced appreciation for life itself: "My heart feels heavy but it's still pounding steady," Lubrano observes on "Profane Geometry." The message that stands out the most, though, is that you're not alone. Iron Chic's songs are dark by nature but light in spirit; the many group chants make the album feel like a collective experience, one made and shared by people who are there for each other.